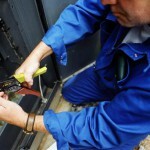 Electrical Home Inspections Experts in Richmond. Don’t risk the safety of your home or loved ones by putting off a home safety inspection! It’s just not worth it. It is easy to take your home electrical service for granted because they are hidden inside the walls of the home, allowing one to enjoy a great variety of modern conveniences. However, “out of sight, out of mind” should not be your rule of thumb when it comes to your Richmond areas home’s electrical wiring. According to the National Fire Protection Association, electrical issues are the number one cause of property damage in home fires across the U.S. The Consumer Product Safety Commission warns that a small appliance inserted into an improperly wired or inadequately sized outlet is the major cause of electrocutions in the U.S.
As part of the home buying process. After a home is 40 years old. When adding a major appliance. When they first began wiring homes in the early 1900s all electrical panels contained screw and cartridge type fuses. Breaker panels became the norm in the 60s. The number of circuits: When fuse panels were prevalent homes did not have the modern conveniences of today. There were no microwaves, dishwashers, etc… These appliances require new circuits and more electricity to run. One major problem we see with fuse panels is that circuits are added where there is no safe room to add them. This results in multiple wires under one screw terminal (against code and unsafe), and/or over-fusing (see below). Fuse panels commonly had 8-12 spaces for circuits. Modern circuit breaker panels commonly have up to 42 spaces for different circuits! Installing an over-sized fuse into the fuse block. The original fuse panel has no safety mechanism to prevent over-sizing the fuses. Let’s say a kitchen circuit keeps blowing the fuse because too many appliances are running at once. It is so easy to insert a 20 or 30 amp fuse into a 15 amp fuse block to avoid the nuisance of the fuse blowing. THIS IS VERY DANGEROUS! The fuses (or circuit breakers) main job is to protect the wiring. Fuses and circuit breakers are sized (15-amp, 20-amp, 30-amp, etc…) according to the circuit wire size. For example: 14-gauge copper wire is required to be protected by no more than 15-amp of overcurrent protection. If you were to put a 30-amp fuse to protect this 15-amp rated wire, then you put 25-amps of electrical load on that wire you could melt is and cause a fire! 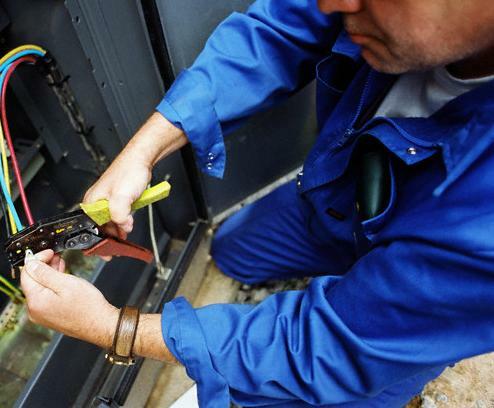 There are two main reasons for a panel or service change: 1) If upgrading from a fuse to a breaker panel or 2) if major appliances are added to the service load. A service upgrade will add value to your home and eliminate the possibility of overloading the circuits with improper fuses. A service inspection and/or upgrade is standard today for older homes in the home buying process. Upgrading the panel from fuse to breaker does not necessarily mean that the amperage must also be increased from 100 to 200 amps. However, it is an opportune time if appropriate.